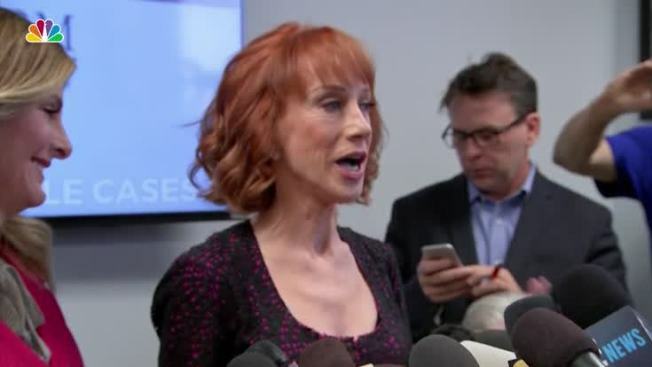 Comedian Kathy Griffin is embarking on her comeback, some nine months after she provoked outrage — and lost much of her work — by posing with a fake severed head that appeared to depict President Donald Trump. Griffin's appearance on Maher's show — and what she called her "small victorious announcement" — appeared to mark the beginning of her comeback, after the backlash over the offending photo last May badly hurt her ability to work. "TMZ was reporting my show cancellations in real time," she said of her standup tour. She also lost her longtime New Year's Eve hosting gig on CNN.